The Validity needs to be re-evaluated and re-newed, if eligible, extended every year, and in some cases every season. The certificates, licenses, label validity depends on the ability of the individual, team, collective and organization to engage into continuous application, advance in stages of development and capacity of responsible systemic application and conquer the brain plasticity, preventing the decline in memory and cognition, skills, and perception. 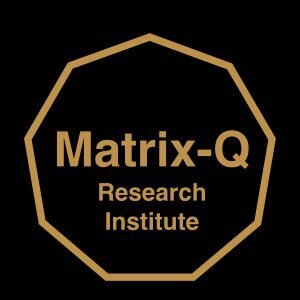 The use of Matrix-Q Knowledge, Tools, Skills, Technology, Data, Standard, helps users (individually and collectively) develop a natural process of human enhancement. For example: the use (application, continuous training) and enhancement of human mindset, emotional intelligence, perception, awareness, systemic collective intelligence, gender co-creativity, leadership, thinking outside of the box, nonary thinking, learning ability, and other human skills, combined with the use of cognitive tools, data and technology developed by utilizing Matrix-Q Knowledge, will produce the final outcome of human enhancement, collective intelligence and sustainable growth. After completing a Matrix-Q training which provides acquisition of knowledge, tools, skills, technology, data and standard, the users should apply for the purpose of aligning, adjusting, stabilizing, and enhancing the performance. The application process follows a precise set of rules including rhythm, cycles, and intensity, that is adjusted according to individual, collective, team and organization DNA. Which means that the process of continuous application is tailored made, follows unique principles and methodology (Matrix-Q Education Method). Matrix-Q e-games designed for this purpose, generate data that help us predict enhancement, and identify the ideal paths for the user(s) to continue and advance their training. For this purpose, a Matrix-Q A.I. Coach, is being implemented since 2016. For reasons of Brain Plasticity, Neuroplasticity & Activity-Dependant Plasticity, it is compulsory the user to apply, to follow a Matrix-Q Enhancement program, engage into continuous training, take part into yearly or season upgrades of know how and skills, and undergo yearly evaluation process and ranking. Thanks to the ranking and evaluation process, the user license will be adjusted, to the current capacity of responsible systemic application. It means, according to case, the validity may be renewed but not for the same level of application, but for a higher level or lower one, according to the registered and predicted performance. “Every human interaction, with purpose of communication and collaboration involves learning and changing. The human factor variable of the global sustainable development equation needs to be solved in order to achieve systemic global sustainability, collective intelligence and sustainable growth. As the cause is human footprint, it is not only the human species that suffers the consequences of such. The future of humanity and planet earth are the responsibility of the human species, in particular of its leaders, knowledge holders and decision makers. Systemic collective intelligence and human enhancement are needs that can not be longer avoided, left aside, sidetracked or downsized in their pivotal importance and strategic value. “- Luis Daniel Maldonado Fonken.